Like every other art, cocktail-making continues to move forward with incredible creativity. We sometimes tend to dismiss mixed drinks—or food and drink in general—as nothing more than temporary stimulation and indulgent libation. But really, the way ingredients come together, and balance or chaos is triggered, demonstrates more than attention to detail. It’s about pairing. Bartenders activate the senses. With drinks, they initiate conversation. It’s only growing better and spreading from major cities to just about everywhere. The following drinks reflect a handful of the best we’ve tasted. Some are quite complex, others are very simple. They’re worth attempting—or seeking out. And as we’ve included gin, whisky, rum and tequila, there should be something for everyone below. Our favorite new drink from BlackTail at Pier A‚ and certainly one of the most broadly appealing on their menu, the Cry Baby has a particular inspiration. 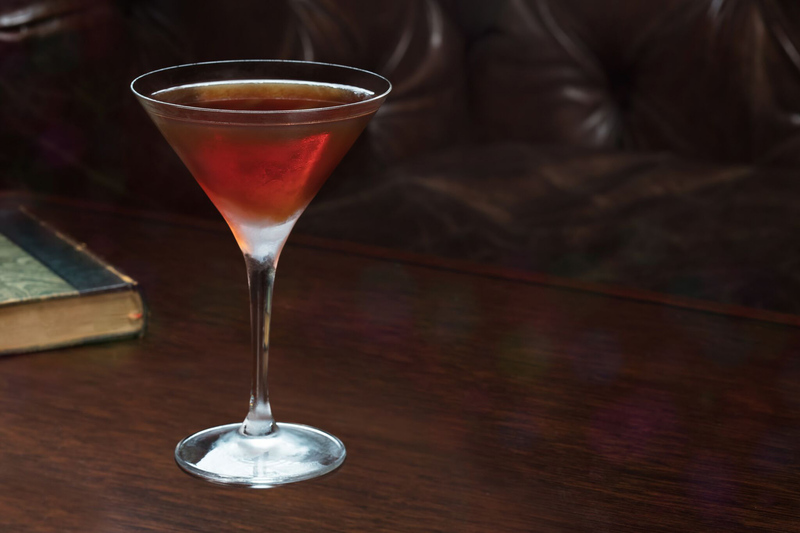 “I was looking to have a classic style-tasting rum Manhattan variation,” Jesse Vida the Head Bartender and Bar Manager at BlackTail shares with CH, “it has deep baking spice notes with Esther intensity. Using different rums as flavor modifiers with each other.” As noted, there are multiple rums employed here and the result is rich, lavish and powerful. This incredibly easy recipe simply calls for Plymouth Gin and Lillet Blanc in equal portions—in essence, a 50/50 martini with Lillet instead of a standard vermouth. According to Robby Nelson, Plymouth Gin’s East Coast brand ambassador and the person who taught us how to mix it all up, there’s really no dedicated name for this iteration—though, he knows individuals who call all 50/50 martinis “Session Martinis.” Nameless, tasty and all-too-easy to make and drink, this cocktail delights and, thanks to its lower alcohol content than other martinis, you don’t have to stop at one. Combine ingredients. Add ice. Stir gently. Strain into martini glass. Garnish with orange twist. 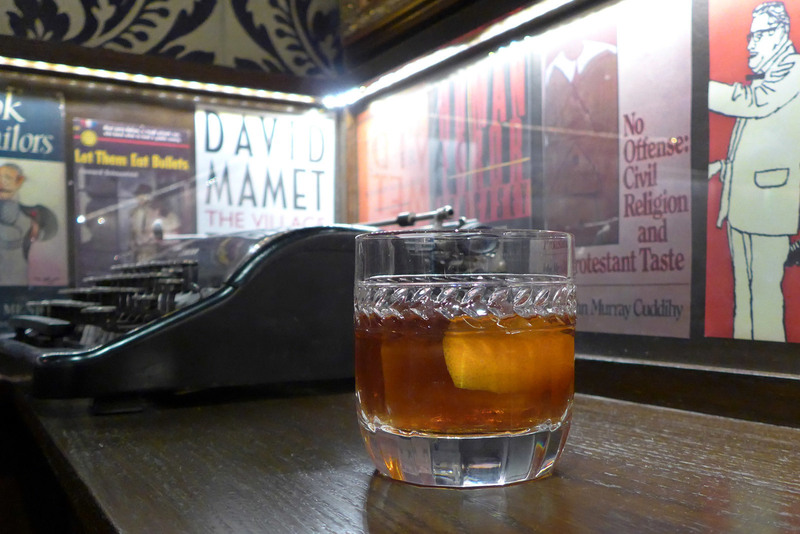 When it was on the menu, this was Chumley’s variation on the Old Fashioned. “I had this idea of making an ice cube,” bar manager Jessie Duré explains. “The chocolate ice cube came from that. From there, I played around with single malts first, using a Bowmore, the 15 year which is super-bold and already has that chocolate note to it. I then went to the 12 year, which also works well. I was struggling between that and blends and found the Chivas to work best.” Rich and rewarding, perhaps the most fascinating attribute of the Chaplin is that the profile changes as the cube melts within. Stir all except chocolate ice in a mixing glass, strain into chilled cocktail rocks glass over chocolate ice cube. Orange peel garnish. *Chocolate ice: simmer 2 quarts water with .25 cup cocoa nibs and .25 cup cocoa powder for 10 minutes, add 2 drops orange blossom water, half dropper each terra spice coffee and almond extra, stir, let cool, and freeze in 2×2’” ice molds. 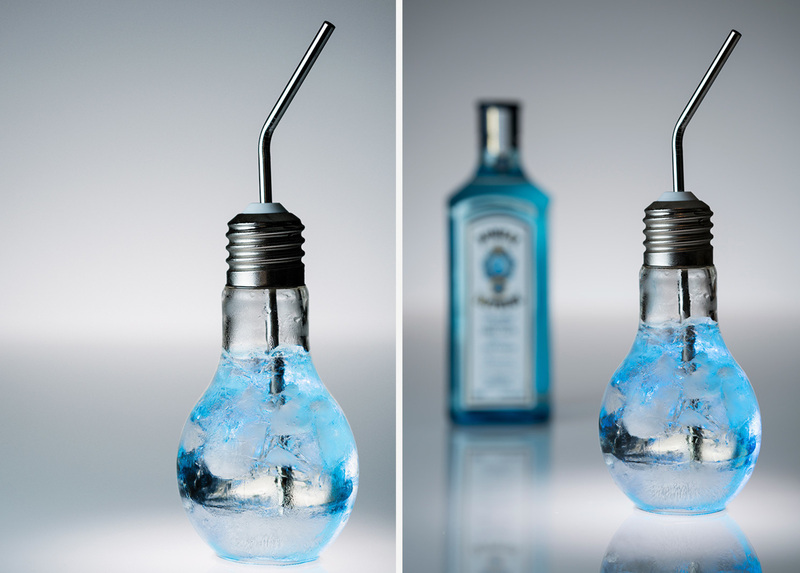 This is “inspired by the obvious cheeky connection between creativity and the lightbulb effect,” Bombay Sapphire brand ambassador Gary Hayward says. “I wanted to use a vessel shape that was the total opposite of the sharp, hard edges that is designed throughout the venue. The vessels are clearly playful and fun. The cocktail is also a nod to the light bulb soda trend currently popular throughout Asia.” Regarding flavors, citrus and gin mingle but milk makes it all unexpected. Debuting at one of the most exciting and exclusive events during New York Fashion Week, Bazaar Icons hosted by Harper’s Bazaar and Carine Roitfeld, the Cidre Unplugged is built upon Stella Artois Cidre. A bouquet of fruit makes up the result of the light, effervescent drink. For all the levity and sweetness, though, the diversity of fruit components lead to something substantial and nuanced. At the bottom of the Stella Artois Cidre glass, add the cherry puree. Add a few ice cubes. Top with pink grapefruit juice and raspberry puree. Top it off with Stella Artois Cidre. For garnish, add a slice of granny smith apple, twig of thyme and a couple peppermint leaves. “Everybody should have a sparkling cocktail in their back pocket because they’re super-fun as a welcome drink if you’re hosting, or just a celebratory kind of thing,” Flor de Caña brand ambassador Ashela Richardson says. Combine and shake with ice. Serve in a champagne flute or a coupe glass. Top up with a couple ounces of sparkling rosé. Make a classic sugar syrup—equal parts sugar and water—using Demerara sugar. While it’s still hot, add a couple cinnamon sticks to infuse. Don’t leave them in for more than a day or two, as the flavor will become too intense. Many fans of the original “Blade Runner” might be aware of one unique cameo: a bottle of Johnnie Walker. To celebrate the sequel, the globally recognizable blended scotch brand created a new expression called the Johnnie Walker Black Label The Director’s Cut, put it in a futuristic, geometric bottle and then made a series of signature cocktails to accompany the release. As for the tipple itself, it’s a limited edition liquid by Master Blender Jim Beveridge in collaboration with filmmaker Denis Villeneuve. The smoke is light but present. 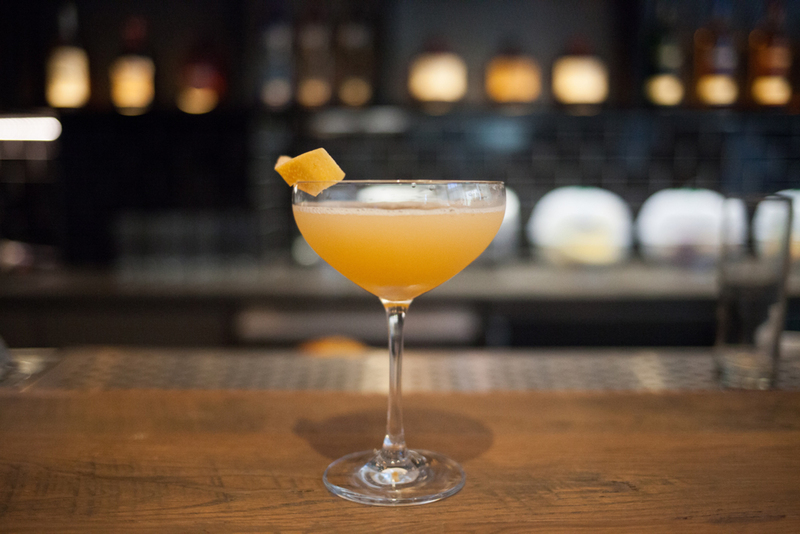 Acclaimed bartender Sam Anderson created the Ode to Dreams specifically for this blend and it’s impressive beyond expectation. Anderson was going for futurism but invoked elegance for sure. Pre-chill cocktail glass with dry ice. Combine Johnnie Walker Black Label Director’s Cut, wildflower vermouth, activated charcoal-chili-syrup and citrus-cordial into a cocktail shaker with ice. Shake well. Strain contents into pre-chilled cocktail glass. Garnish with isonoyuki, pink and peach rose petals and a dash of sansho peppercorn oil. If one were to amp up a Moscow Mule with ginger liqueur in addition to the ginger beer and then swap out the vodka for Herradura Silver, you’d almost be at the En Tu Marco (On Your Mark). 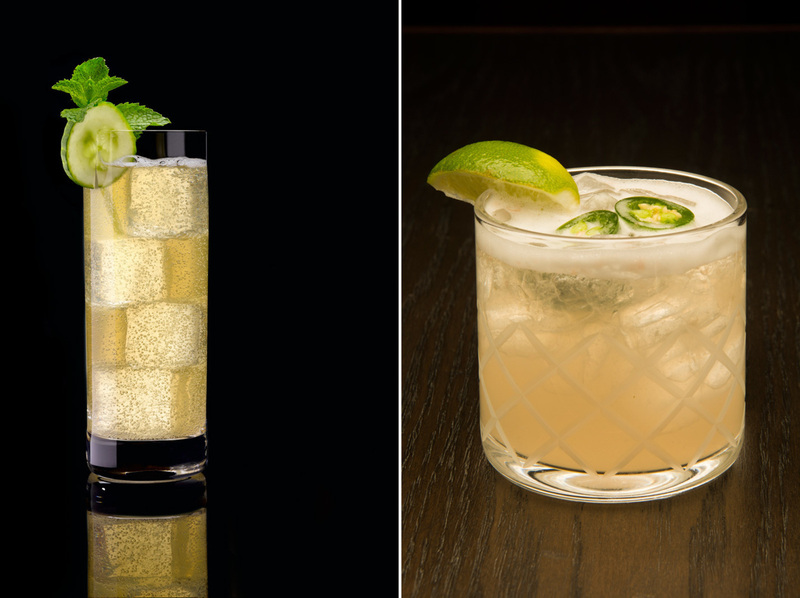 The vision of Kevin Vanegas, the National Tequila Ambassador for Brown-Forman, this drink counters the sweeter elements like agave nectar with fresh lemon, mint and cucumber. This is dynamic drink with vivacity as an undercurrent. Muddle cucumber and mint leaves in a mixing glass, add all items except the ginger beer with ice and shake hard so that some of the ice melts. Strain into a tall glass with fresh ice, then top with ginger beer. Garnish with cucumber and mint leaves. Created by Tommy Warren of Bedford & Co. at The Renwick, the Zelda features in their new Writer’s Collection cocktail series. Inspired by Zelda Fitzgerald, there’s a sweetness and spice at play. Further, various citrus notes lend their strength to extend the drink’s depth. Add all spirits into a shaker, including one jalapeño slice, fill with ice and shake 10 times. Strain over fresh ice into an etched rocks glass. Garnish with one jalapeño disk floater.